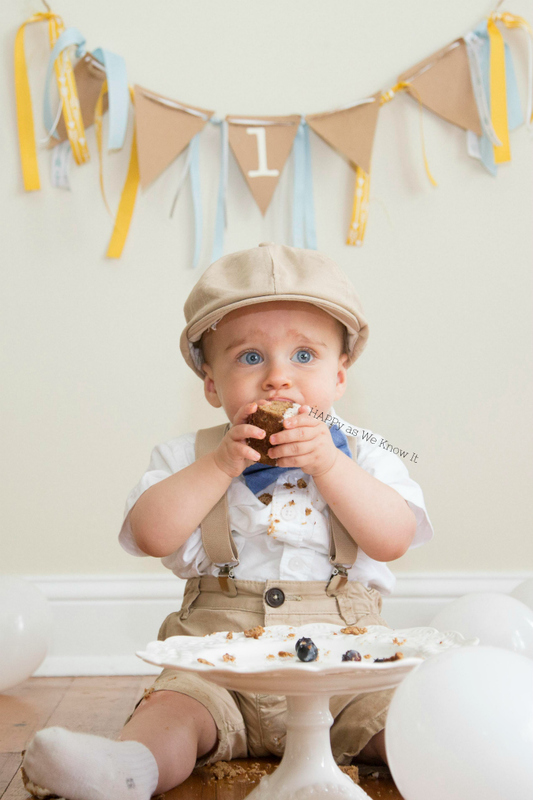 I pondered a great deal over what kind of cake to make for our little man's 1st birthday. 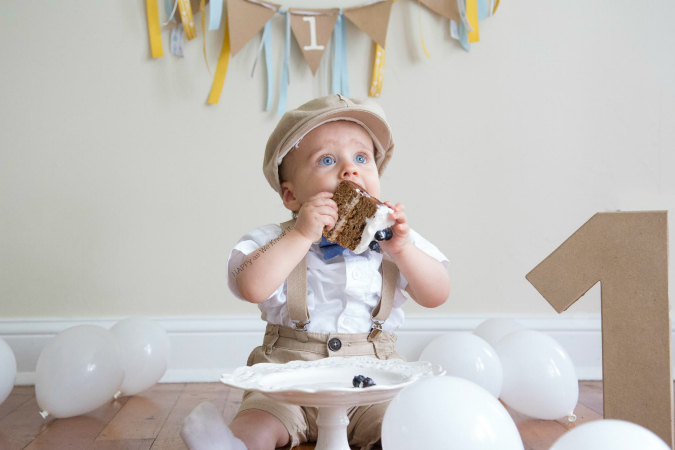 I scoured Pinterest (as creating my own recipes is far beyond my baking skill level) looking for something that would be as nutrient rich as possible, while still tasty for his special day. 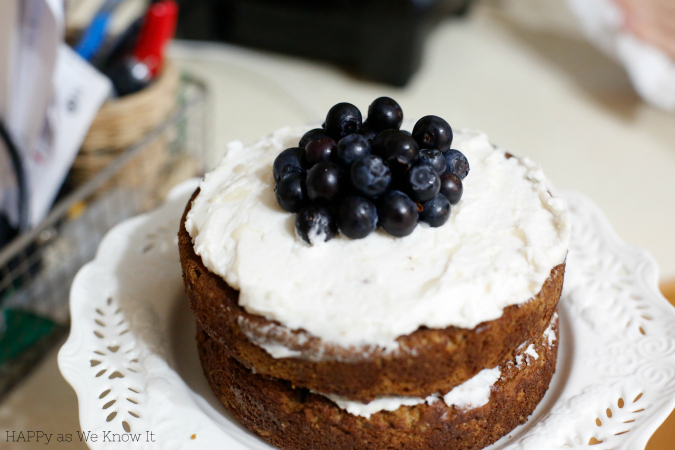 I ran across this Coconut Blueberry Layer Cake from the Foodie Teen, and while not intended to be a smash cake, I decided it just might work. The ingredients were on point with a coconut/almond flour base and the frosting created with coconut milk and maple syrup. No refined sugar or grain! It was a go. The original called for 3 cake layers, but seeing as our newly turned one-year-old toddler was the only one devouring it, we thought two layers would be beyond plenty, and it was. As you can see, he was completely unsure of it to start. 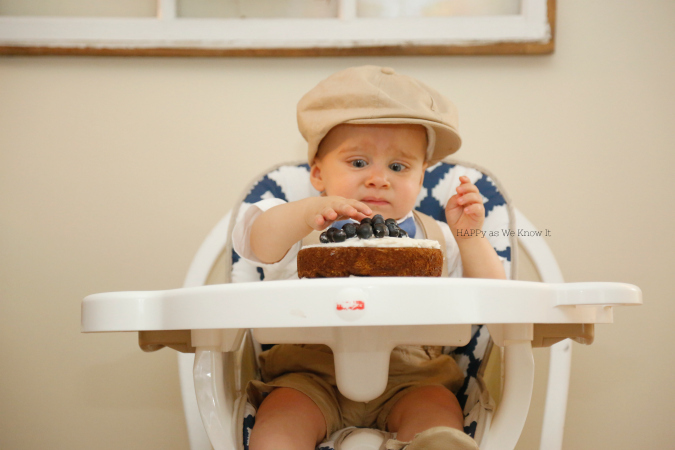 My little man who loves destroying anything in his path, delicately picked the blueberries off the top and sampled them while all of our eagerly awaiting birthday party attendees watched in anticipation of the big "dig in" moment. I gladly took an opportunity to show him how it was done, and was pleasantly surprised - the cake was delicious! Little man, seriously you were missing out. 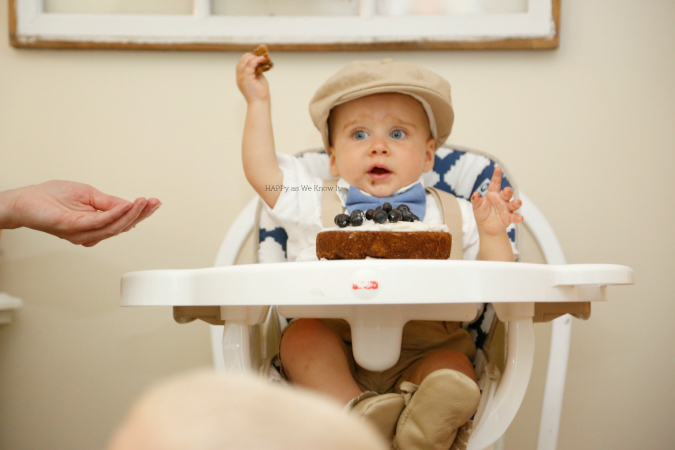 He was eventually victorious in snagging his very own bite of actual cake, but the whole scenario was comically anticlimactic. Until we decided to bust out the one piece we happened to save for our "cake smash" photo session the next morning. Apparently our child just isn't into showing off for a crowd, because he downed this piece like it was his job. Just picked it up whole like a champ and in it went. I have to admit I am glad that we got photos from both scenarios as they both give me a good giggle for different reasons. This kid never ceases to surprise me, and I can't wait to see all that we have in store for this next year. 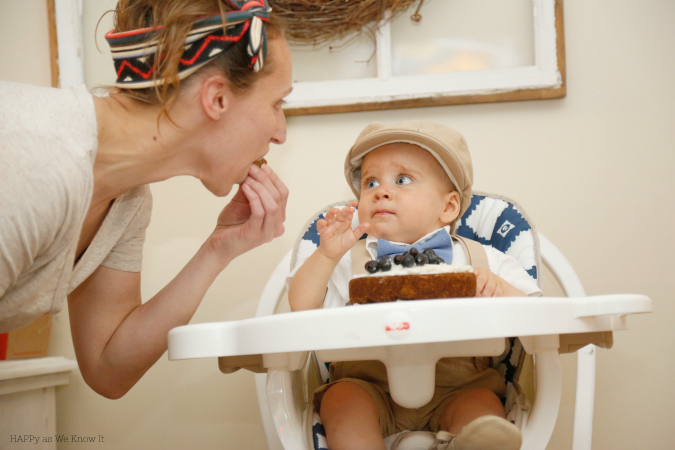 One thing is for sure, he did end up loving his cake - which was the ultimate goal - so it comes with the babe (and mama) stamp of approval for fellow first time cake smashers (and beyond). Snag the recipe again here. Special thanks to my sister for her cake baking skills and Marissa K Webb photography for capturing these precious moments.